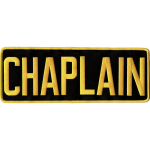 Spiritual leaders in numerous faith bodies serve in the specialized ministries called chaplaincies: campus, community, corrections, healthcare, military and the workplace. Chaplaincies are open to Adventist clergy in many nations of the world. The Seventh-day Adventist Church attempts to place only highly qualified ministers in the chaplaincy expressions of ministry. The General Conference establishes denominational standards for chaplaincy ministries, and the ACM Department provides guidance for applying those standards to the world field. Adventist chaplains are ministers with current conference-issued credentials who are granted ecclesiastical endorsement to serve in one of the specialized ministries. The chaplaincy is an equally valid and viable expression of ministry on par with more traditional expressions of pastor and evangelist. They are an integral element of the Adventist ministry.